On a recent trip through southeast Kansas, a particular restaurant I wanted to try was not yet open for the day. I called my friend Mike, originally from the area, and asked him for some other suggestions. He told me that I should try Angelo’s Deli in the rural community of Hallowell, Kansas. Hallowell is located in an area once heavily stripped mined for coal. Angelo’s is the perfect place to get a bite to eat after a visit to Big Brutus, a gigantic electric coal shovel, visible for miles around and just a short drive northeast to West Mineral, Kansas. 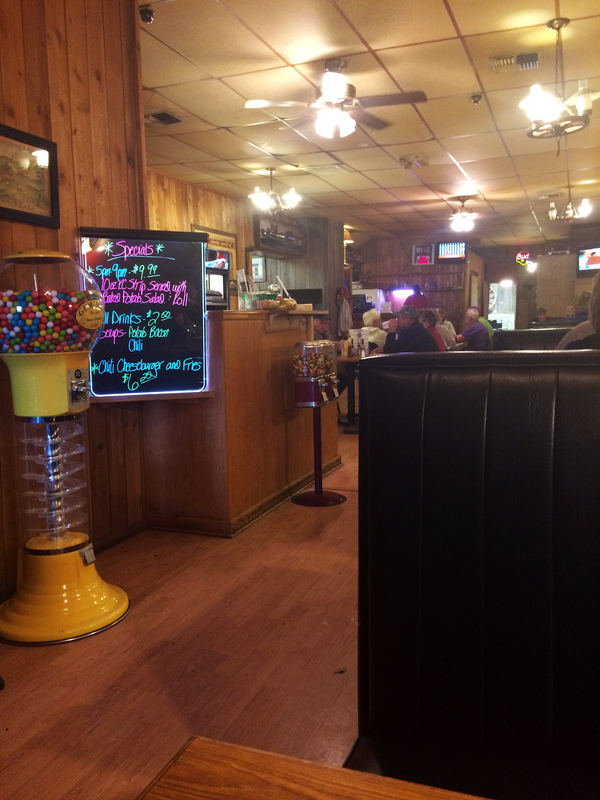 Mike described the place, quite accurately, as the “last outpost in Cherokee County”. 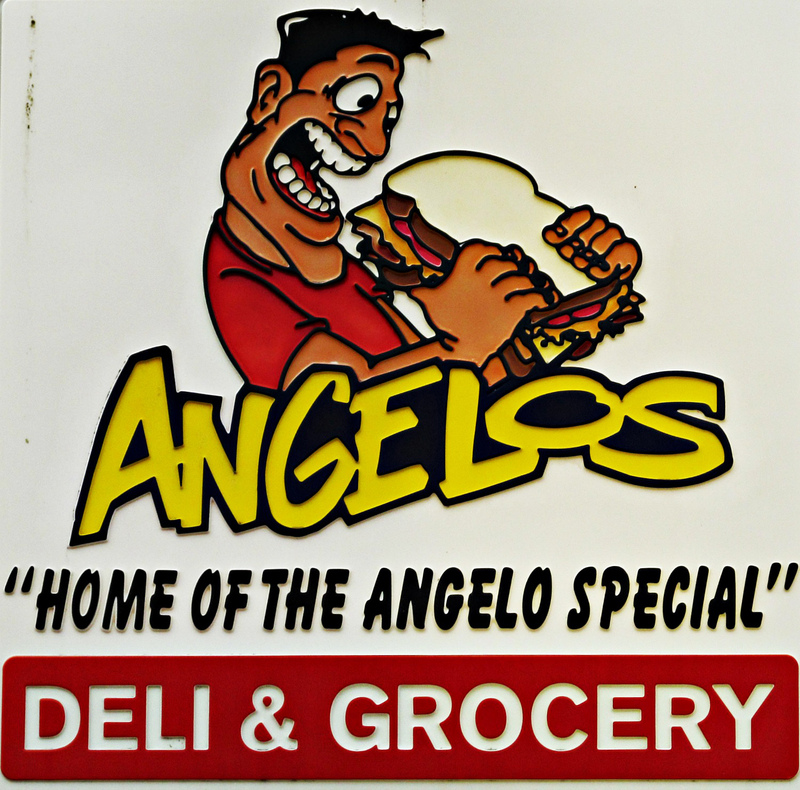 Angelo’s Deli does have all that you would expect a deli to have in the way of your basic meat and cheeses, but they also have a kitchen with hot foods (including a pork tenderloin), cold beer, snacks and fishing bait and tackle. I began to order the Angelo’s Special, a sandwich with ham and two types of salami. Before finalizing my order, I noticed that it also came in a “super” with 30 percent more meat. If you know me, you know I’m all about more pork, so I couldn’t resist the attempting the super! This sandwich comes with a “secret sauce” that is somewhat similar to what you would find on a big mac. I was unsure if I would like the sauce or not, but as it turns out, it pairs extremely well with the pork filled deli meat selection you get with the Angelo’s Special. The afternoon of my vist, the deli had a lively crowd of friendly locals, with much discussion of the day centering on recent wet conditions. While researching the place, I came across a quote about the deli also being a good place to get information about fishing and even your love life. 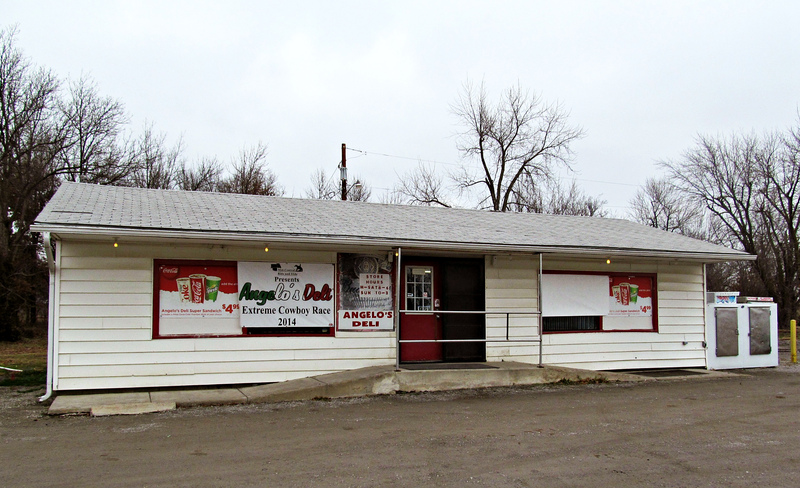 Whether you need a bite to eat after a trip to Big Brutus, want to know where the fish are biting, or if you should bite the bullet and ask for date, Angelo’s Deli is the place for you! The Pony Express may be what makes Marysville famous to Kansans, but the city has managed to survive just fine since the closure of the storied equine-based mail system in 1861. 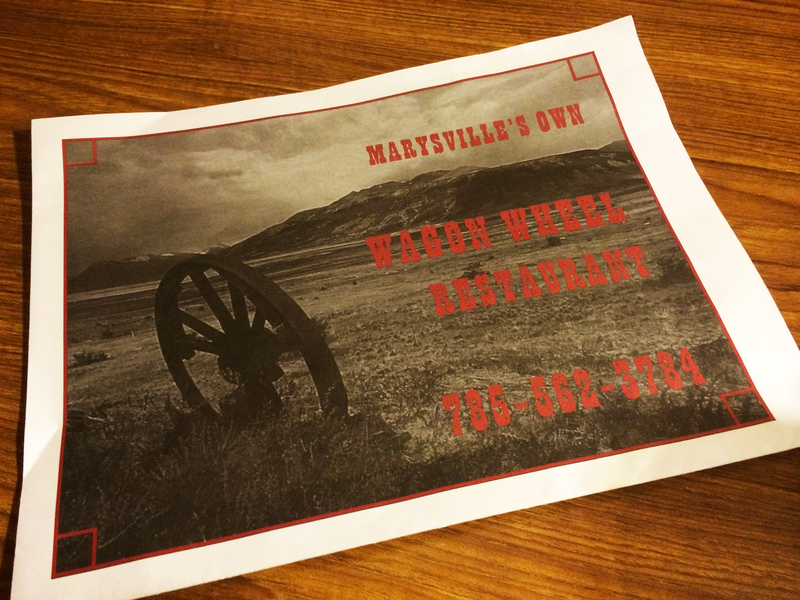 In my opinion, part of a small town surviving is its ability to keep a hometown restaurant in operation, and Marysville has succeeded in that. 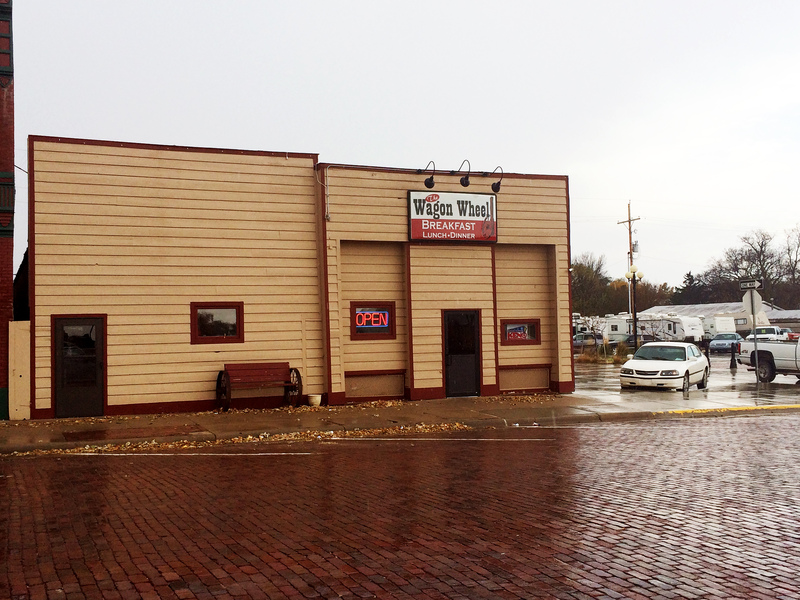 A block south of modern day US Hwy 36, you’ll find the “Wagon Wheel Restaurant”. It’s pretty much the epitome of a small town diner as far as I’m concerned. 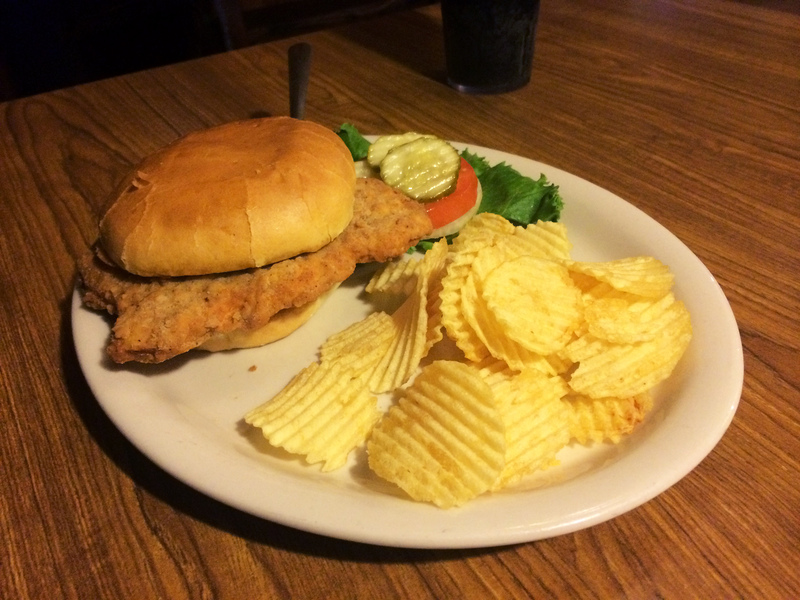 Like most small town diners, you will find a quality pork tenderloin sandwich on the menu, and if you’re lucky it might even be the lunch special! 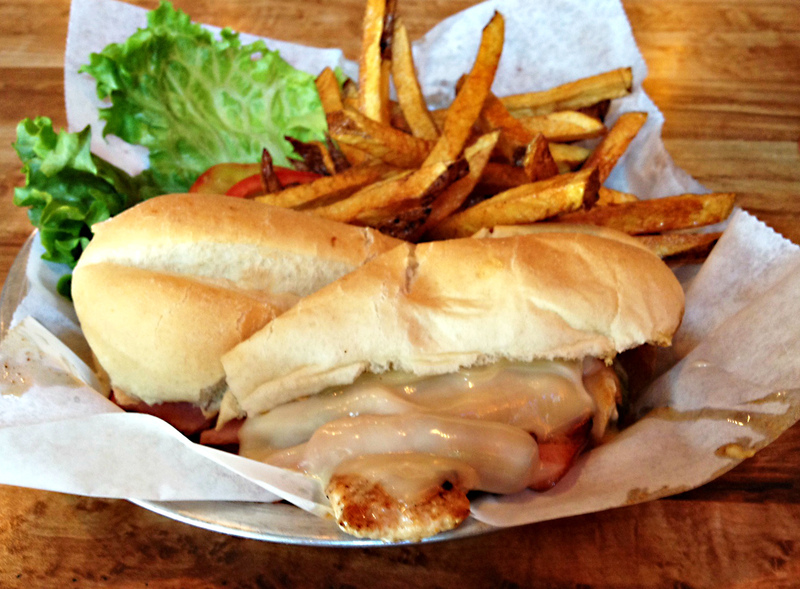 When it happens that you’re on a mission to eat pork, you order this sandwich and eat it! 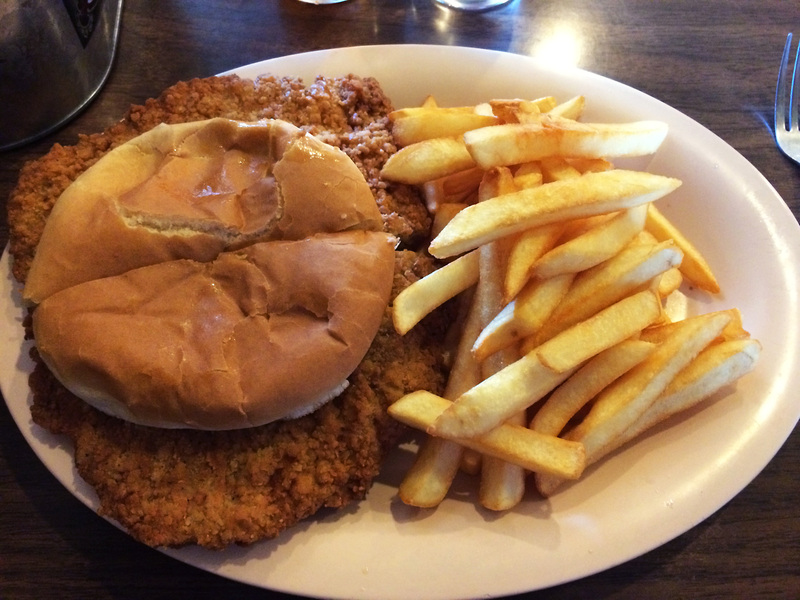 The pork tenderloin sandwich at Wagon Wheel is definitely worth ordering if you ever find yourself in Marysville, USA. 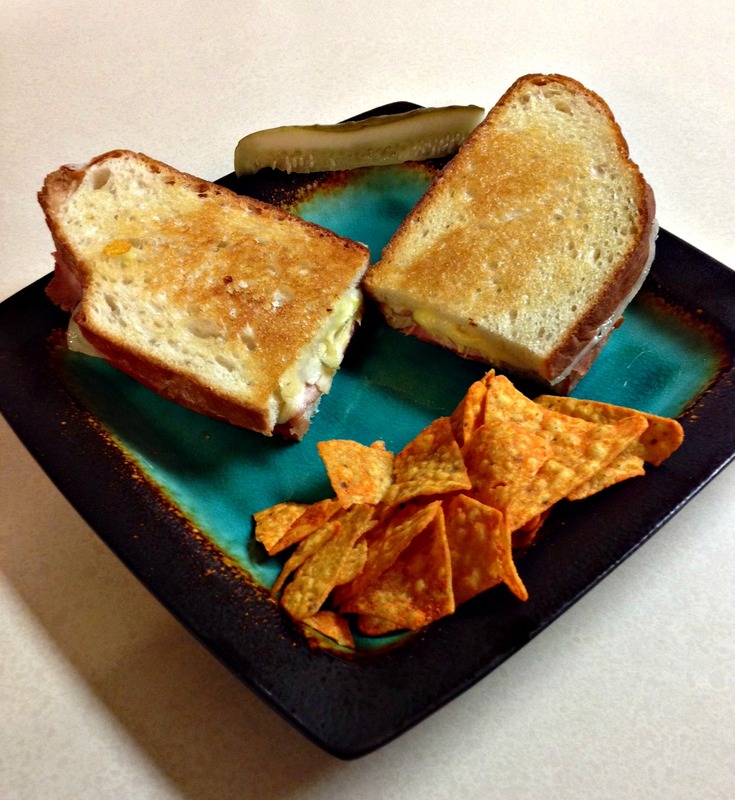 If you are lucky enough to find yourself there, you should also consider the more adventurous “Kill Bill” sandwich. It is nothing more than pork tenderloin, sliced ham, bacon, pepper jack cheese, and chipotle mayo all on a toasted pretzel bun. While I was not quite hungry enough to tie that one on the day I was there, I walk away from Wagon Wheel thinking that if you tried it, you would not be disappointed (or hungry). The Kansas City BBQ scene is littered with literally dozens of places that tried to stake a claim in an already busy arena, but could just never get a foothold, and slowly disappeared into thin air. On my latest quest to try all things BBQ in this city, I think I found a real keeper in SLAP’S BBQ (SLAP is the acronym for “Squeal Like A Pig”). Located in Kansas City, KS, SLAP’s is absolutely worth your time, and hopefully won’t be going away anytime soon. It might seem a bit hard to find, found at 533 Central Ave. in KCK, but it really is easy to get to. It’s just a few blocks west of I-70 on Central Ave., situated very close to the I70/Central Ave. interchange. While finding SLAP’s is no big deal, finding a place to park might be. The parking lot is a bit limited on what it can hold, but there is enough street side parking that you can make it work. 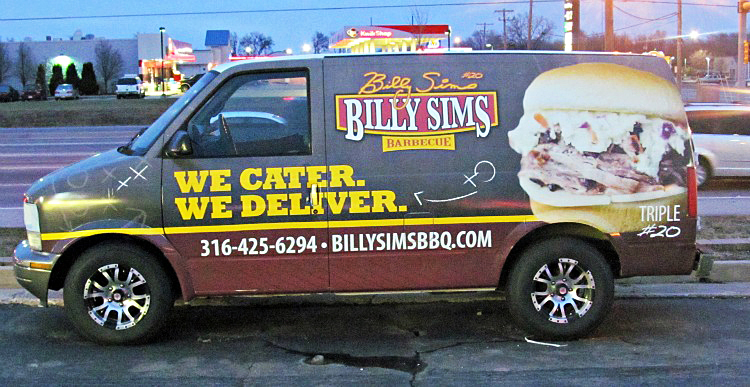 Trust me; you’ll want to go through the effort to park, as the food is worth it. These people put some serious thought and work into the meat (including pork OF COURSE). The ribs were hands down as good as anything I’ve had in the KC area. The pulled pork was excellent as well. You can tell with smoked pork shoulder when the meat is fresh or not, and believe me, this stuff is fresh and of the highest quality. 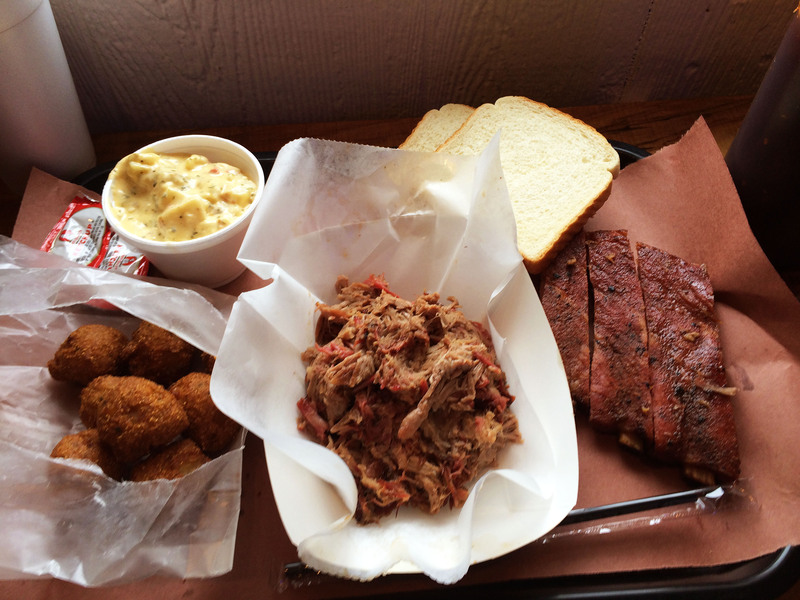 The selection of sides is pretty unique too, as they have twice-baked potato casserole, and hush puppies, two things I have not seen at any other BBQ places around here. I’d recommend if you’re in from out of town perhaps trying the place at a time other than right at noon (and it’s not open in the evening), as finding a place to park and a place to sit will be a bit easier. Getting the meat to go is always an option too. 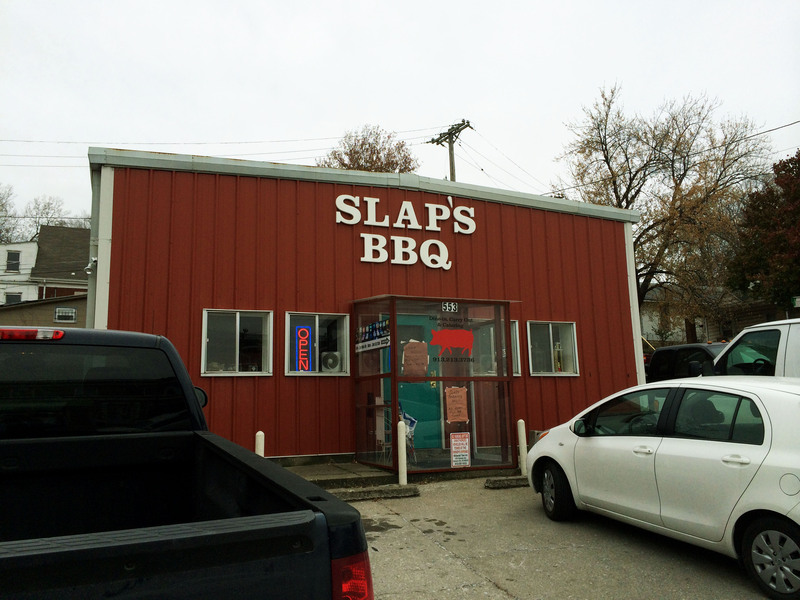 Either way, if you’re into trying new and uniquely good Kansas City BBQ, you‘d be doing yourself a disservice by not trying SLAP’s. We are giving away three prize packs, yes I said three! 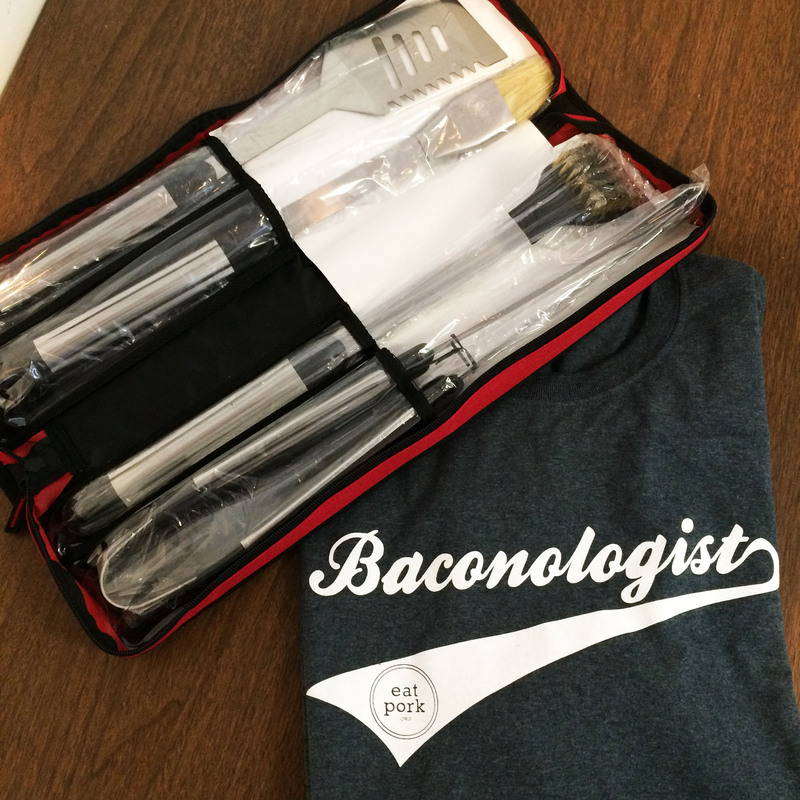 These prize packs include a 4-piece EatPork.org grill set and a “Baconologist” t-shirt. Both prizes are pictured below. 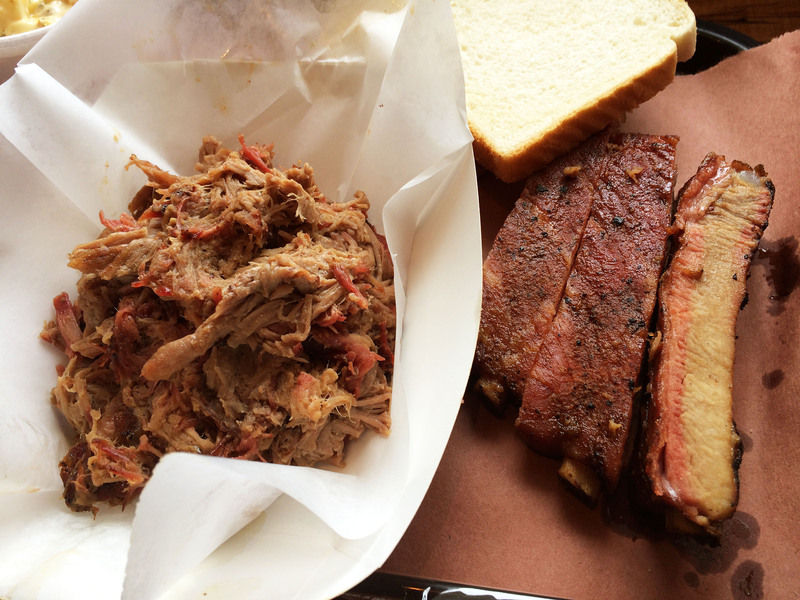 Our bloggers are always looking for new places to go and try pork dishes. Tell us, where would you recommend they eat at in Kansas? What pork dish should they order? Leave a comment to let us know your answer on this post. The contest will close on Tuesday, February 10, 2015 at 2:30 pm CST. Winners will be selected at random and notified via email, as well as announced in a comment on this blog post. The winner will need to respond to our email no later then Thursday, February 12, 2015 at 5:00 pm CST to be eligible to claim their prize. If the prize is not claimed we will select another winner. Interested in healthy recipes to help spice up your New Year’s resolution?’ Head on over to our site, eatpork.org, for recipes, coupons and more! Smokey Ben’s BBQ and More in Yates Center, Kansas, “the hay capital of the world” is a rare gem on the prairie. It is very unusual to find a barbecue restaurant in such a rural community, much less a good one! Smokey Ben’s is Located on 54 highway, and is roughly half way between Fort Scott and Wichita. If you like “fall off the bone” ribs, this place is for you. In fact, their ribs are so tender that I’m curious how they get them on the plate in one piece. 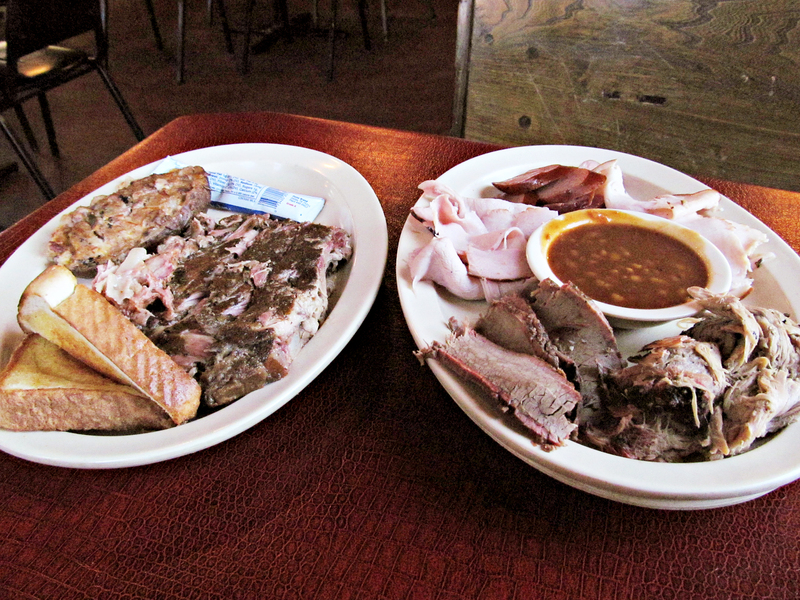 My favorite thing about Smokey’ Bens BBQ and More is that the smoked flavor of their meat is spot on. I took a peek out back and noticed that they accomplish this feat of barbecue mastery by using an old offset style wood burning smoker. Most restaurants prefer to use highly automated commercial style smoker that much of the art and science (and smokey flavor) out of the process. 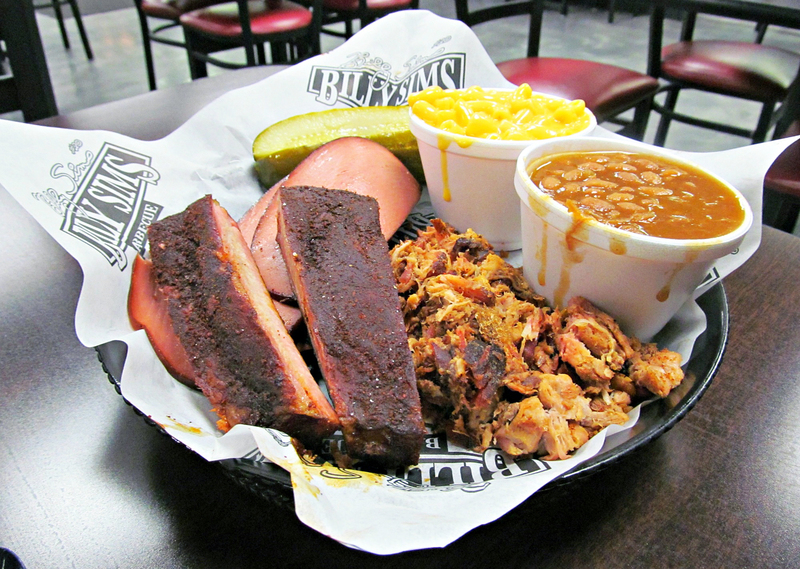 While the pit-master at Smokey Ben’s has more of a challenge on his hands, the results speak for themselves. While visiting with a worker, I learned that everything on the menu is made in the smoker minus the cobbler (which looked delicious, but I was too full to try). 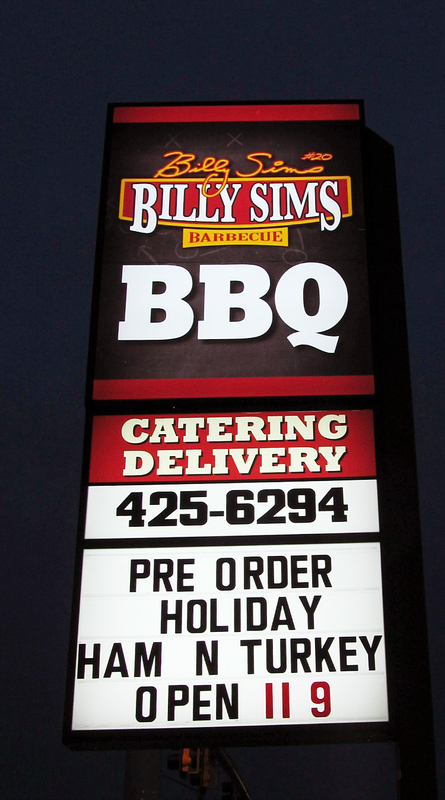 Smokey Ben’s BBQ and more is currently for sale. I hope the next owner takes lessons from the current pitmaster! I would encourage you to get to Yates Center soon and check it out. The Neosho County seat community of Erie, Kansas is a pleasant and clean little community. This riverside town is well kept and the people are friendly. One of the little community’s only real drawbacks is very limited amount of eating establishments. 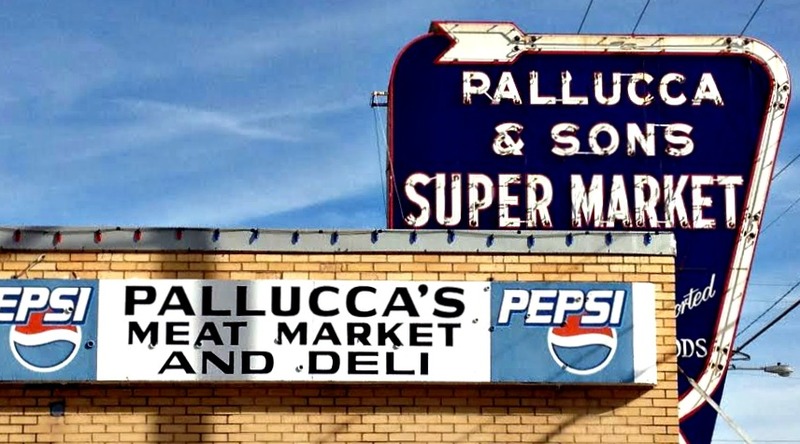 Food choices consist mostly of a bar, a gas station, a pizza and sandwich shop and a bowling alley. While none of the aforementioned places are bad, I can say with confidence that there is another restaurant in the community that stands out in the pork department. 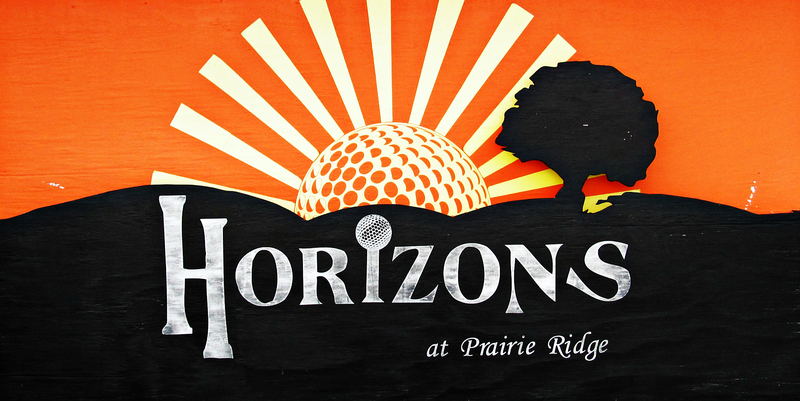 Horizon’s at Prairie Ridge, as the name implies, is a restaurant overlooking the local golf course. At the suggestion of a friend, I wondered in over the lunch hour one summer day for a burger. I was pleasantly surprised to see one of my favorite pork delicacies on the menu and quickly decided that I had to come back. Fast forward to December, and my friend and I had the opportunity to return. Although the cold weather kept us from eating on the patio and enjoying the lovely golf course view, the upscale interior provided a pleasant place to dine. We called ahead and ordered the pork wings (actually, a tender and delicious piece of meat from the shank). Only a handful of Kansas restaurants serve these tasty treats. (See the review of Taco Lucha in Manhattan for another.) 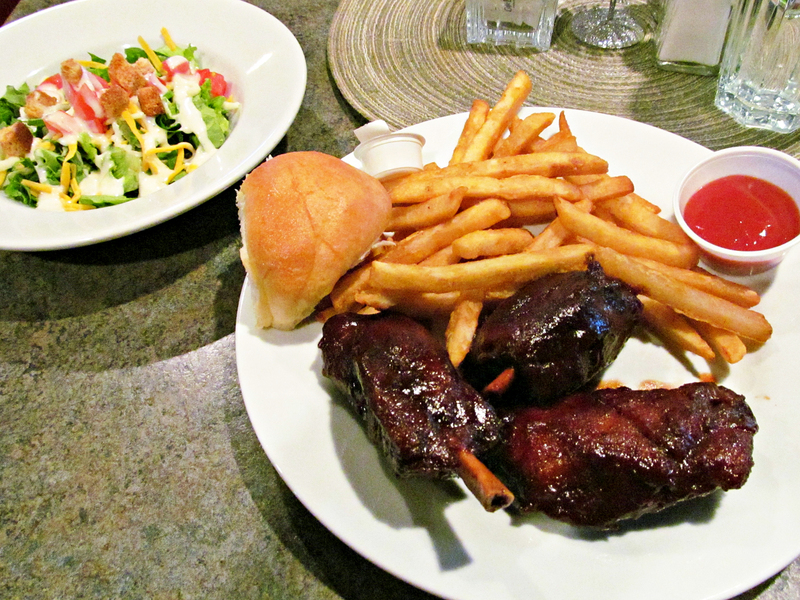 Our pork wings were served up with sticky barbecue sauce and a side of amazing battered French fries. If you love pork like I do, you owe it to yourself to try some pork wings. You won’t be disappointed. 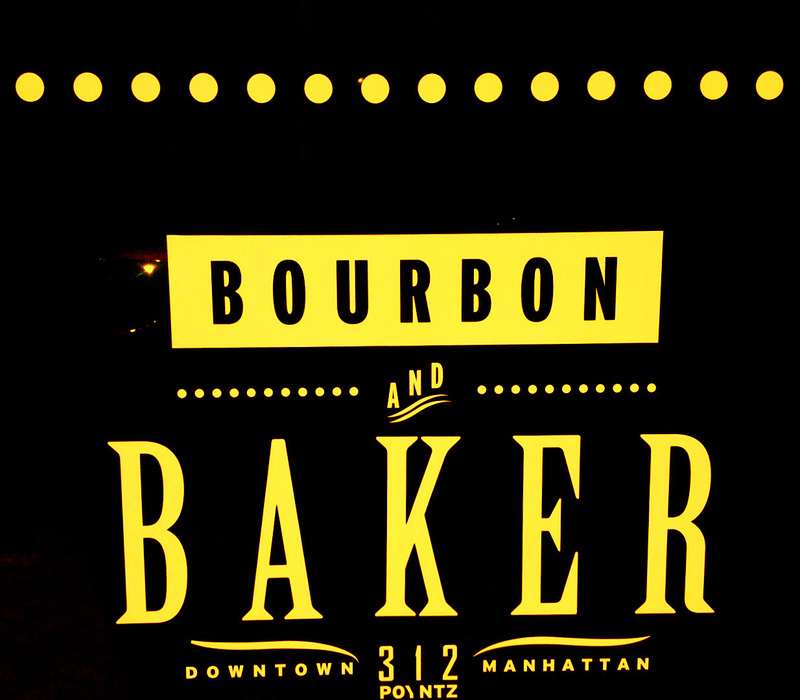 Bourbon and Baker is one of the newest and trendiest restaurants in Manhattan, Kansas. In a city full of new and trendy restaurants, it takes something unique to stand out from the crowd. 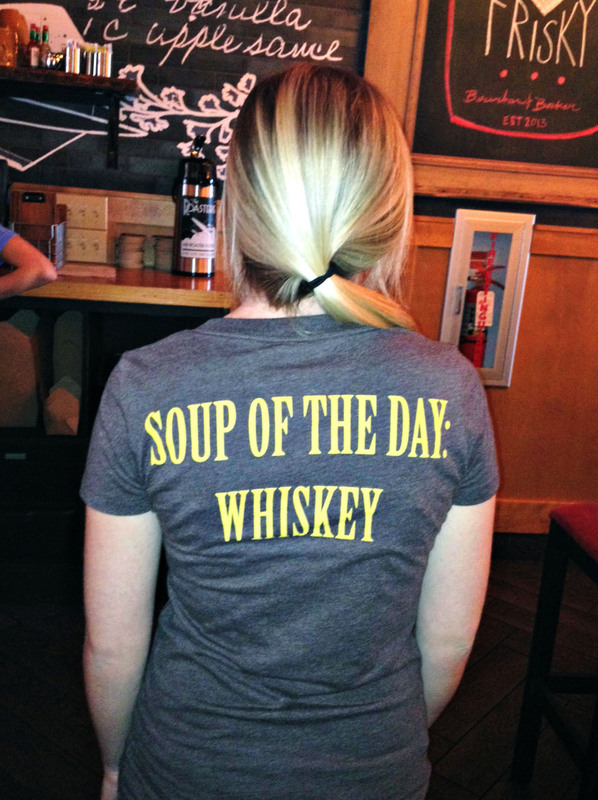 As the name implies, this restaurant specializes in whiskey and bakery goods…..not your usual combination! An important thing to consider is the “small portions”. This is not an all you can eat buffet. Don’t go here if you’re starving to death and you want to fill up quickly. That’s not the idea here. You are supposed to sample a variety of dishes. A perfect opportunity for sharing and hanging out….think date night or good time out with friends. For a pork lover, Bourbon and Baker does not disappoint. I sampled three pork dishes. The first was a pork quesadilla. This was pretty fantastic. My second dish was a cornbread pork slider. While a bit messy, the cornbread, fresh from the bakery was outstanding. My final dish was braised pork belly. The pork belly is a fatty piece of meat with hints of smoke. Bourbon and Baker also offers delicious St. Louis style ribs. Along with your pork, be sure to order the duck fat French fries. You won’t be disappointed. They are located at 312 Poyntz Avenue, Manhattan, Kansas 66502 and are open every day except Sunday. Be sure to check out the bakery on your way out for delicious dessert item. 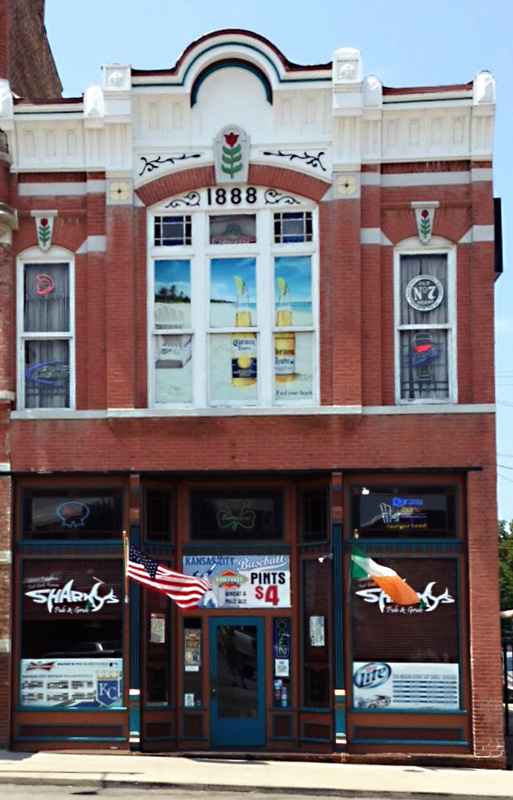 Sharkey’s Pub and Grub is a local Fort Scott favorite. It is easy to understand why they have long hours and why their menu goes far beyond the deep fried fare commonly found in pubs. On a recent visit, I was pleasantly surprised to find a few good pork choices available. I chose the Cuban sandwich (you can never go wrong with a Cuban)! The Sharkey’s Cuban was piled high with ham and pork loin and of course had pickles and lots of cheese. It paired deliciously with seasoned fries and a cold drink. Behind the restaurant you can spy a wood smoker which is often in use (a sure sign of good meals to come). Sharkey’s is on Facebook at and can be located at 16 N National Ave. in Fort Scott, Kansas 66701. Like any good pub, they have an extensive drink selection and lots of specials. Check them out the next time you are in Southeast Kansas! For hundreds of years, people have dreamed of travelling through time, but the love affair with this idea probably peaked soon after the publishing of H.G. Wells’ famous book “The Time Machine” in 1895. I’d like to inform you that as of 2014, you don’t need a degree in quantum physics, or an above-average grasp of the theory of general relativity, to come close to figuring out time travel. 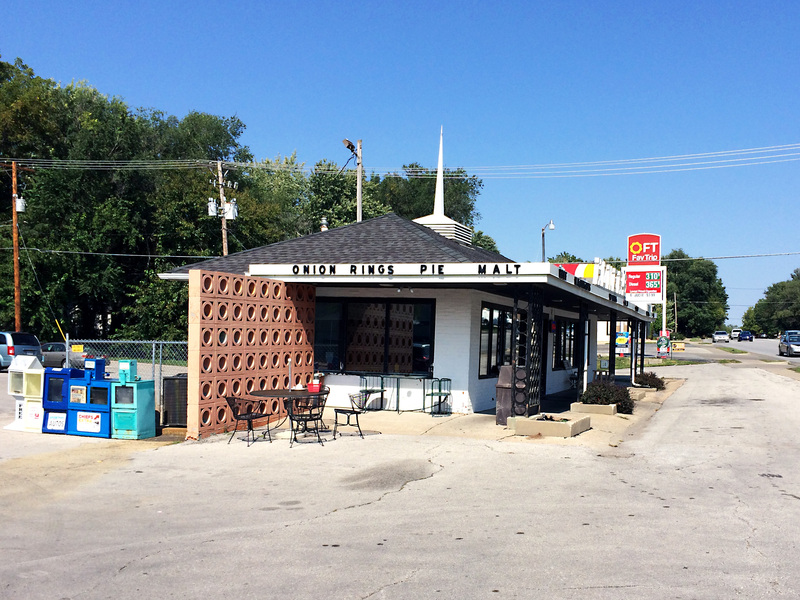 All you need is a car, some gas, and a map that can get you to Leavenworth, KS. Now, I’m not saying that the Leavenworth area is stuck in the past (though some might argue it is), rather, I’m saying that if you want to get the feel of travelling back in time, you need to go no further than “Homer’s Drive Inn”, in Leavenworth, located just south of downtown, on U.S. Hwy 73/KS Hwy 7. Homer’s has been in its current location since 1938, and it doesn’t appear that much has changed with the place in about 50 years! 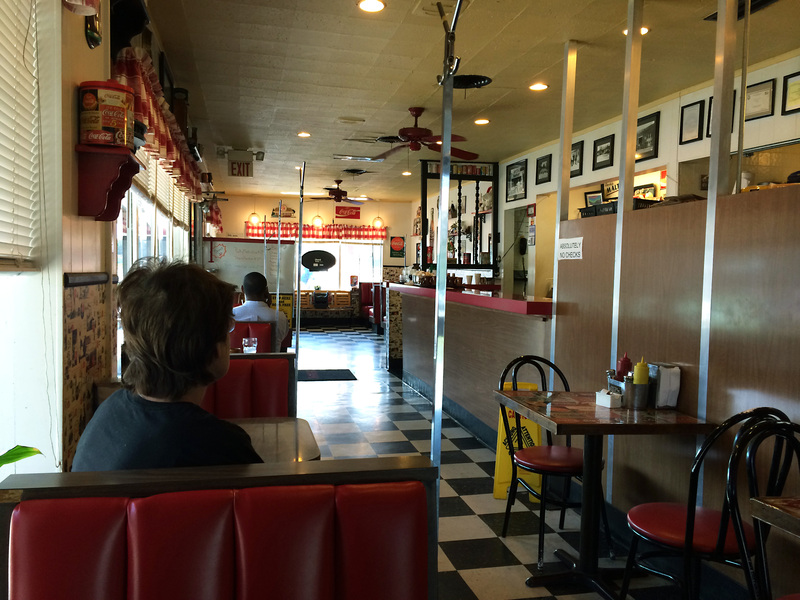 From its black and white checkered tile floor, to its red vinyl upholstery covering on the booths, it’s no wonder that this place was a finalist for the Kansas Sampler Foundation’s “8 Wonders of Kansas Cuisine”. The day I visited Homer’s, I felt blessed by the pork Gods, as I walked in and found that the Fried Pork Tenderloin Sandwich was the day’s special. Needless to say, they didn’t need to twist my arm to get me to order one. I have to say, it was quite possibly the best pork tenderloin sandwich I’ve ever had. It was huge, and was perfectly tender, with just the right amount of breading. I’ve had several pork tenderloins over the years at county fairs other events, and I’d put this one up against any of those any day. So, while the untestable theories about time travel are just lying out there for us to ponder, I’ll go ahead and hypothesize that you’ll love this place if you get the chance to go try it. Furthermore, I am thoroughly convinced time travel is impossible, or people would be travelling back from the future to eat at this place!